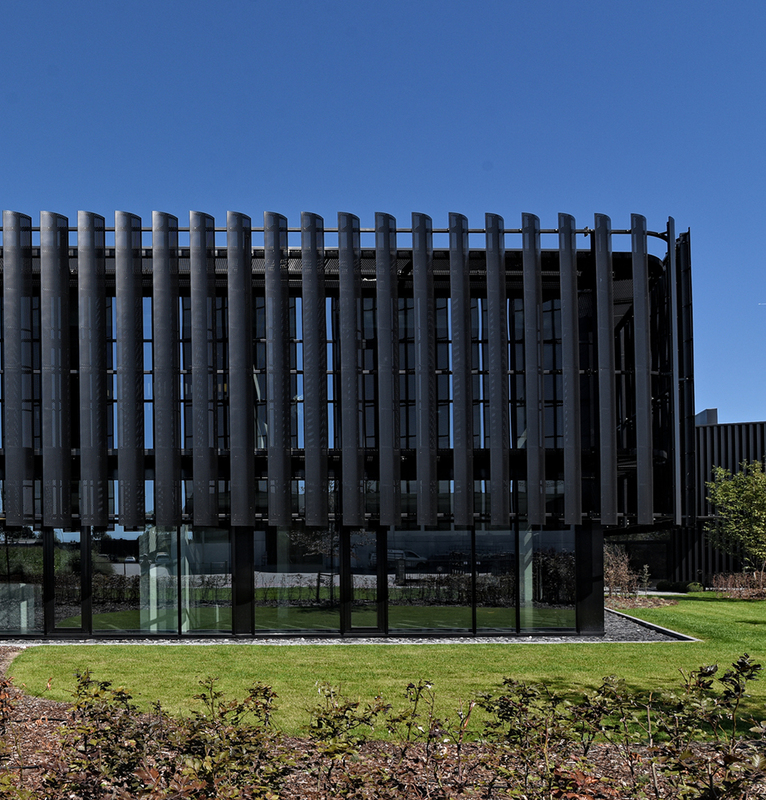 Thanks to the façade cladding swathed in black, which works as solar shading on the one hand as well as fulfilling an architectural function on the other, Power Solutions is a fine example of how technology and architecture can come together in a magic alliance. 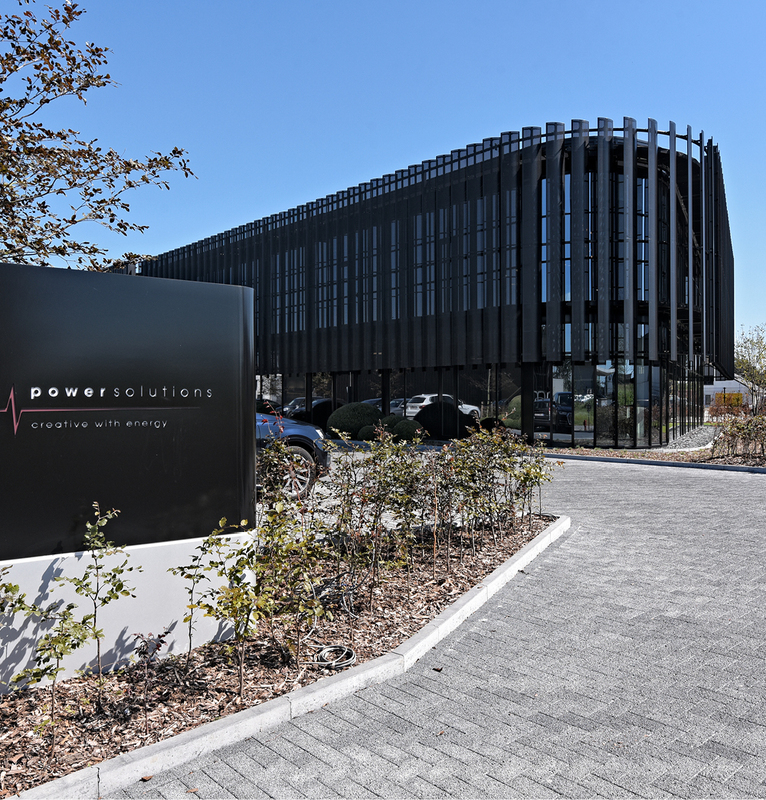 In spring 2015, an impressive spectacle emerged right next to Bosuil stadium, home to the Royal Antwerp Football Club, as all the stops were being pulled out on an undeveloped plot of land just short of 8,000 m² where work was being carried out on the construction of a magnificent brand-new office building for Power Solutions. 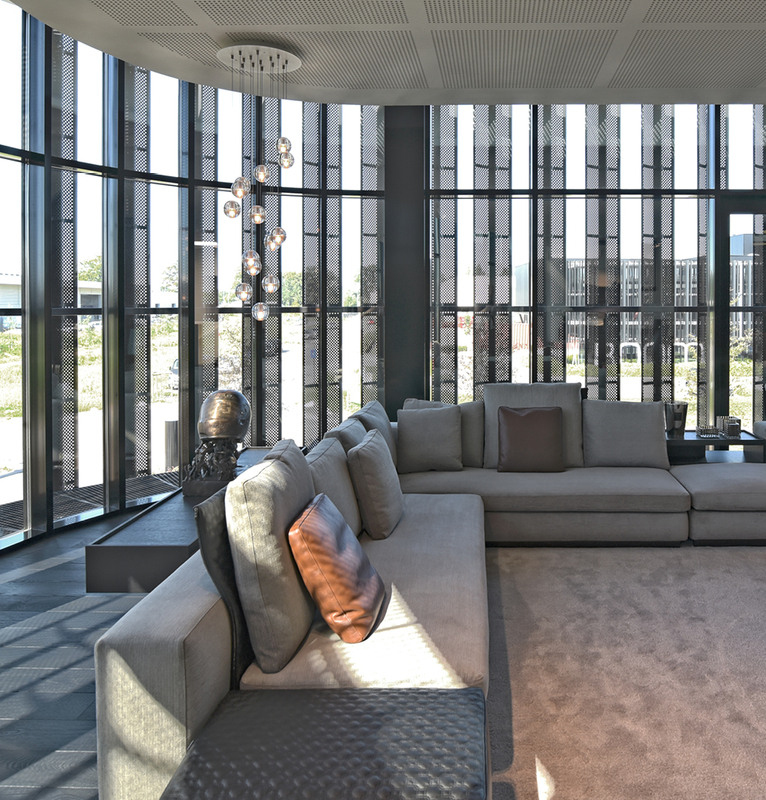 Magnificent indeed, since Duco and BOfA, a firm of architects, surprised many a contractor with a successful combination of lavish architecture, durability and a comfortable indoor climate. Brotherly neighbours. That’s how Power Solutions and XL Boom stand proudly together today. Two totally different entities whose core operations have nothing in common, yet which appear to project virtually the same character to the outside world. Arnold Oostveen is the CEO of Power Solutions, a national and international electricity generating plant hire company. 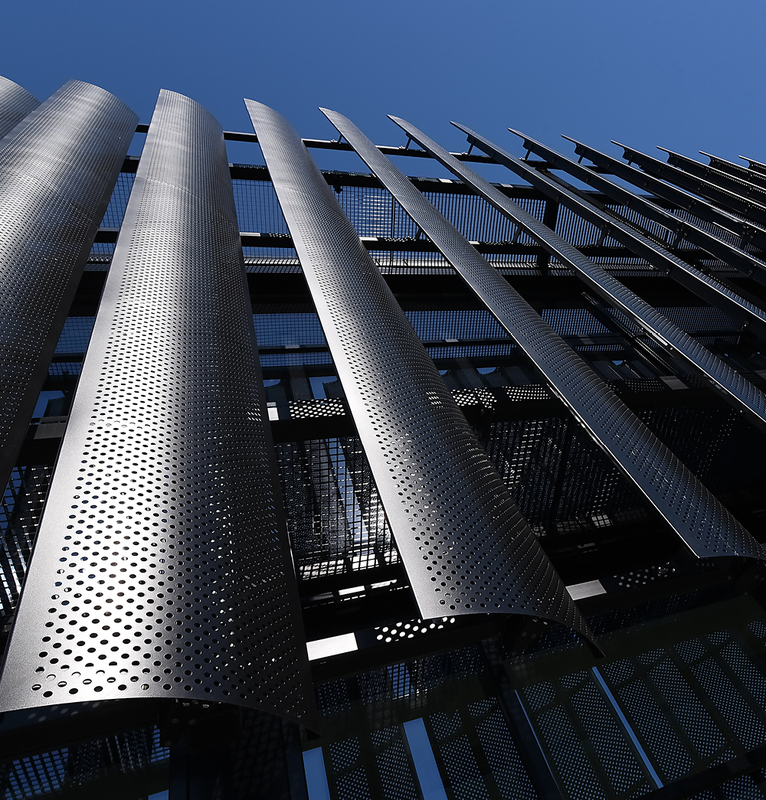 He drew inspiration for the façade cladding on the new building from the neighbouring XL Boom offices. 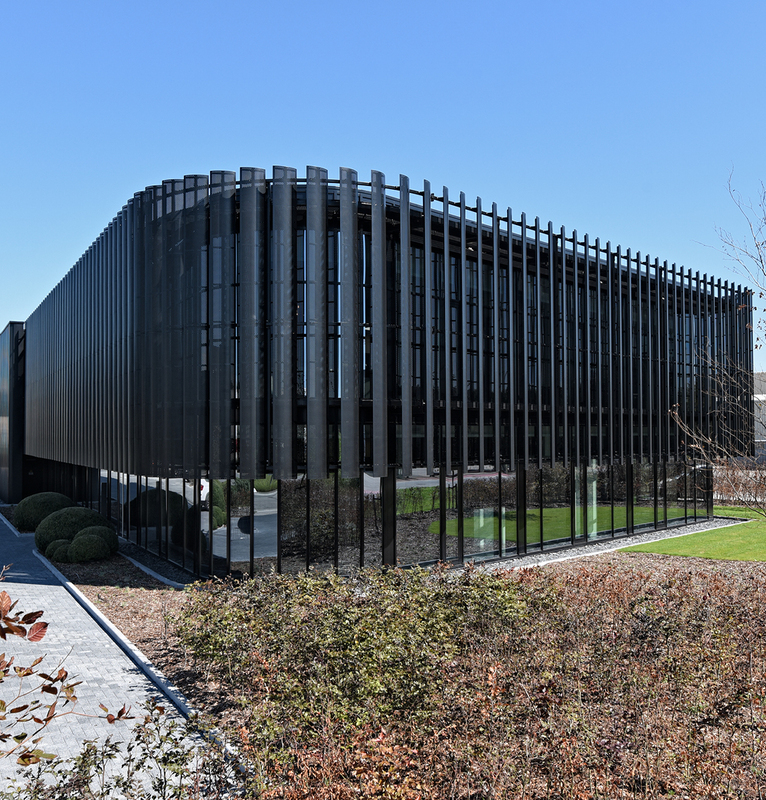 It is beyond dispute that the design team has kept well clear of the banal appearance normally given to industrial buildings. Given that they are an architects’ firm specialising in SME projects, BOfA drew up the plans; the end result, on the other hand, came about thanks to close collaboration with Duco. 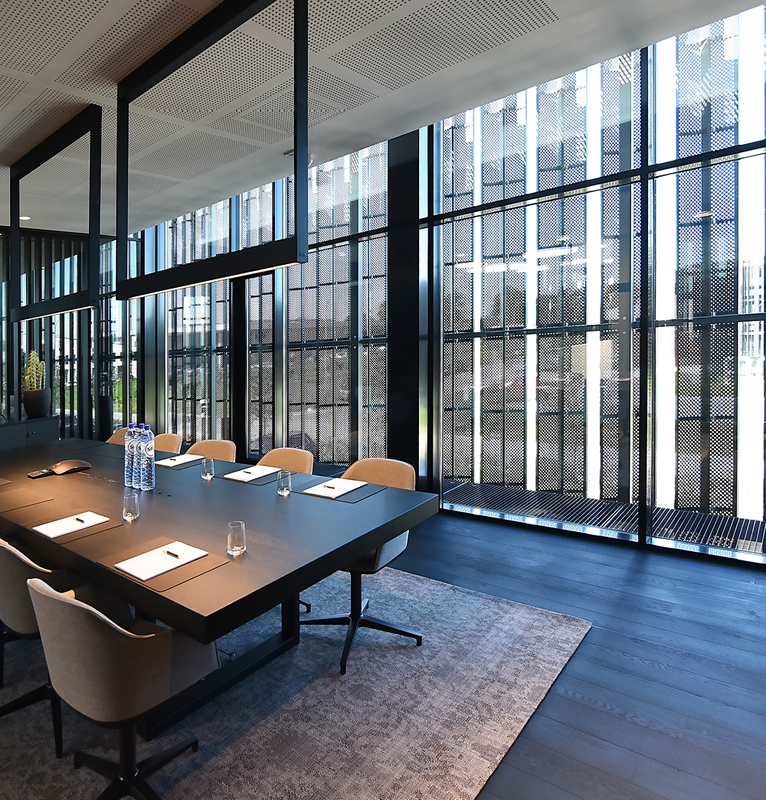 For many years, the company has been offering well-thought-out and diversified architecture, which stands up to the ravages of time because it meets today’s needs and responds to future needs. 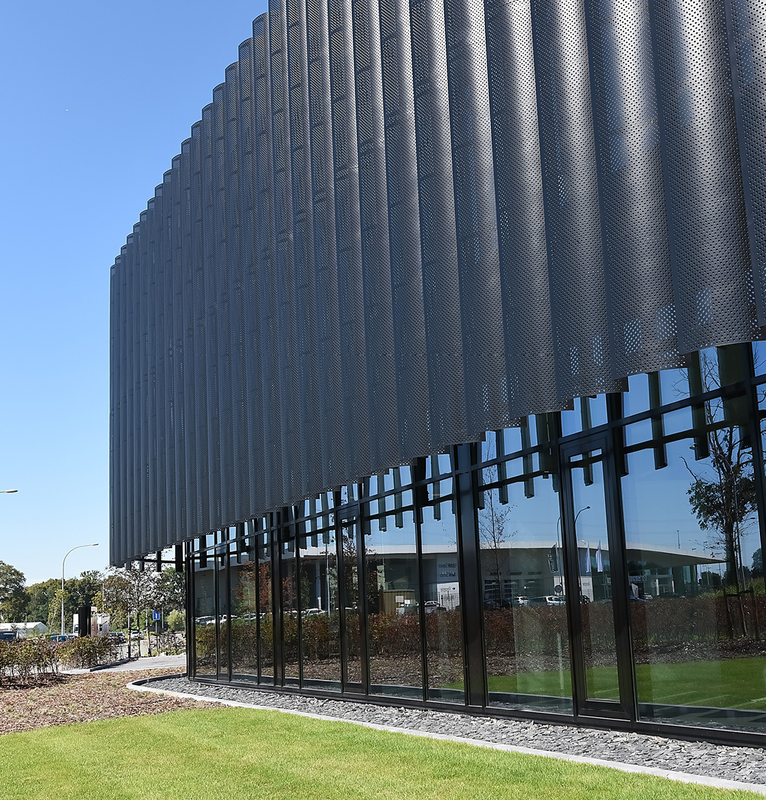 “We were able to rely on Duco’s know-how for both projects, since as a dependable partner they have been prepared right from day one to join in with us in the story and our thought processes to deliver the best solar shading system tailored to the client’s specification”, according to Mr Winderickx. 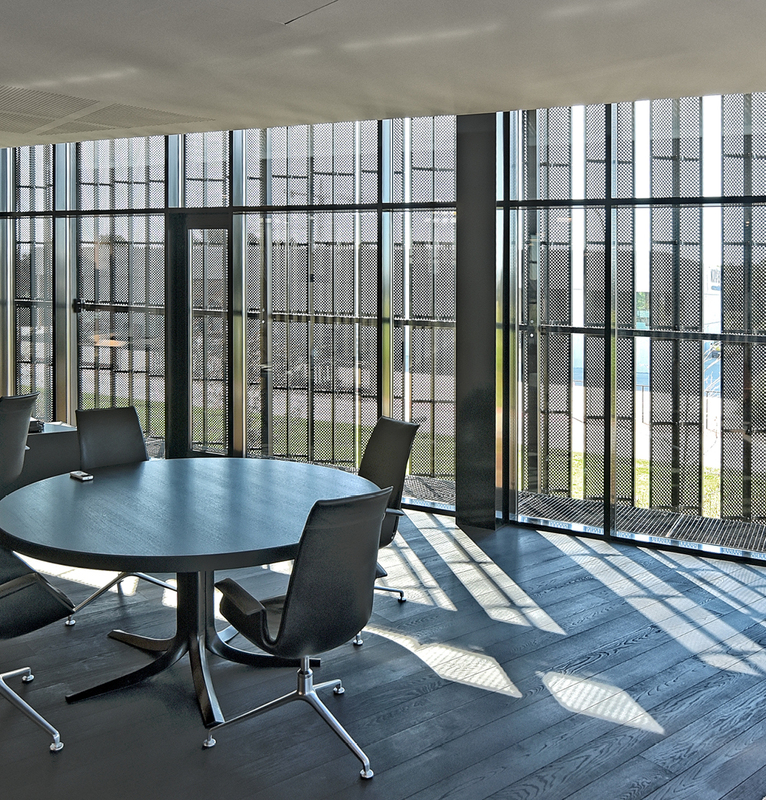 Nowadays, architects have no need to compromise on style, since there are countless types of solar shading: from vertical canvas solar shading to structural solar shading. 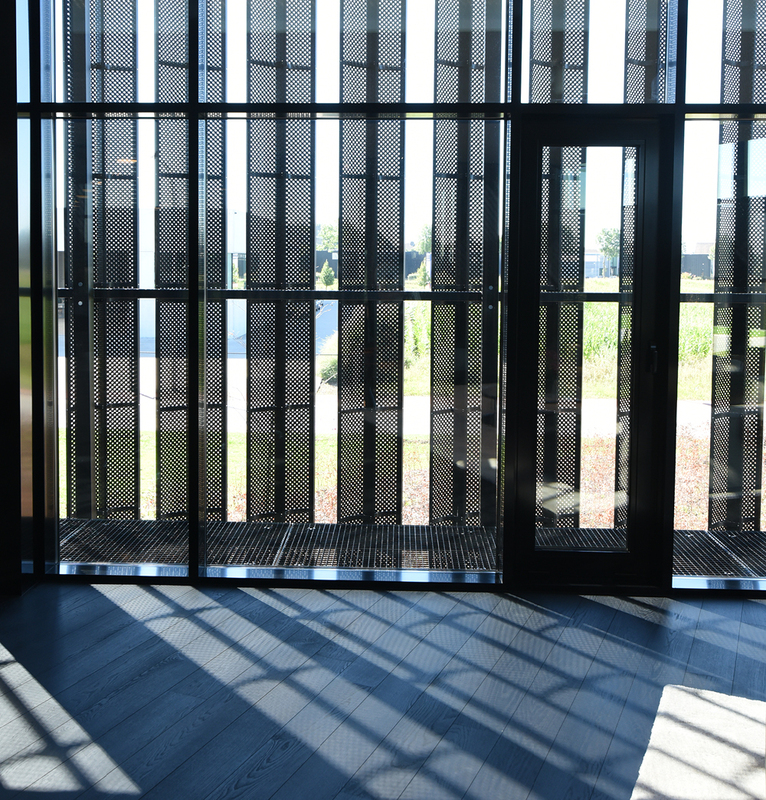 From an aesthetic point of view, however, a unique architectural solar shading concept was chosen.